Paul McCauley pictured before the attack which claimed his life. A man arrested by detectives investigating the sectarian murder of a civil servant in Londonderry has been released. Paul McCauley, a 38-year-old Catholic, spent almost a decade in a vegetative state after being beaten by loyalists in Londonderry’s Waterside area in 2006. 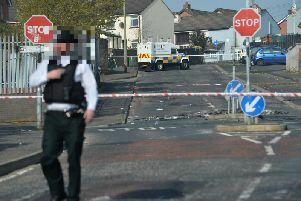 A 26-year-old man who was detained in Londonderry connection with the murder on Monday had been released on police bail pending further enquiries, the PSNI said at 6.30pm on Tuesday. A 26-year-old suspect was arrested in Coleraine, Co Londonderry, on Tuesday morning, and remains in custody at time of writing. Ten people have been arrested since Mr McCauley’s death. One of the 10 has been charged with murder and another reported to the Public Prosecution Service. Father-of-one Mr McCauley was 29 when he attended the barbecue for a friend who was moving away from Northern Ireland. A gang of up to 15 people emerged from nearby bushes and attacked him and two friends as they were clearing up after the meal in the early hours of the morning. He suffered severe head injuries. Mr McCauley’s family has pursued a long campaign for justice. Piper John McClements, 24, previously known as Daryl Proctor, from the Fountain area of the Londonderry, has been charged with the civil servant’s murder.